The National Society for Experiential Education (NSEE) annually honors individuals and organizations that have made significant contributions to NSEE and to the field of experiential education. We encourage you to nominate your partners and colleagues for these awards. Eligibility information can be found in the 2019 NSEE Awards of Excellence criteria document. Previous award winners and current board members are not eligible for awards. Click here to complete the online nomination form. Nominations will be accepted until Monday, March 18, 2019. Recognizes an outstanding K-12 or higher education institution that has demonstrated an exceptional commitment to experiential education in their classrooms or on their campuses. Recognizes an individual in higher education who has demonstrated innovative uses of experiential learning in their institution. Recognizes a K-12 teacher, principal, or superintendent who has demonstrated innovative uses of experiential learning in their classroom or school system. Recognizes a community-based organization or nonprofit that has made outstanding contributions to experiential education. Recognizes a business or corporation that has demonstrated outstanding support of experiential education through its financial or volunteer commitment to the field. Recognizes an individual who has joined NSEE within the past five years and is already making outstanding contributions to experiential education. Recognizes an individual who has published research within the past 2 years that makes important contributions to our understanding of experiential education. 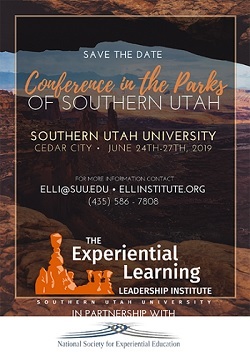 Recognizes an individual who has completed a doctoral dissertation that makes important contributions to our understanding of experiential education.